What's especially exciting is that Barnard's Star is a red dwarf, which is the most common type of star in our galaxy. Which means that if Barnard's Star is in any way typical, then planets could be very abundant throughout the galaxy. Phil Plait provides further commentary on this: Big news: A planet for Barnard’s Star… the fourth closest star to our own! While it would seem logical to expect that planets should exist around many stars, as with all things astrophysics, we can always expect to be surprised. In the meantime, above is an artists impression of what the surface may look like - though with the caveat that it's likely to be below-freezing cold. SF writers - update your star charts! The researchers found that many of them are moving in a plane known as the vast polar structure. 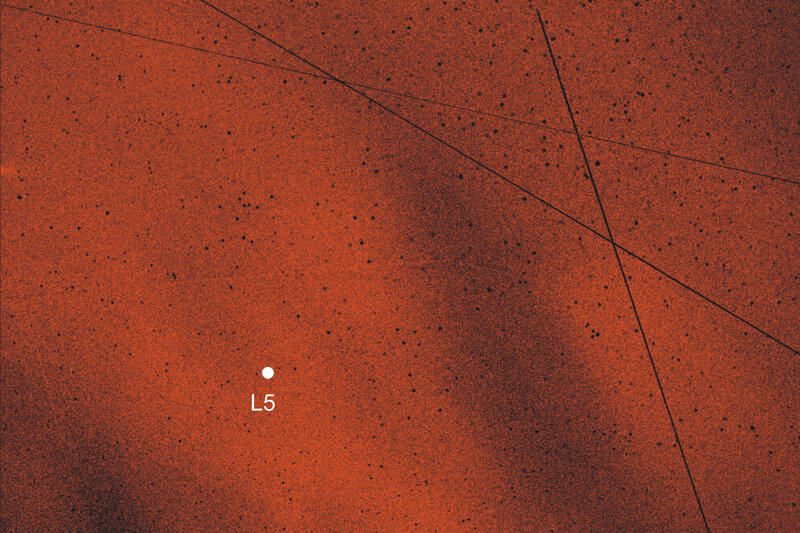 "It was already known that many of the more massive dwarf galaxies were found in this plane, but now we know that also several of the less massive dwarf galaxies might belong to this structure," says Fritz, main author of the scientific article . Phil Plait provides more detail on this extraordinary photo: What do you get when a white dwarf eats a brown dwarf? A very, very energetic cosmic belch. It just goes to show how even near space can be full of surprises for us. As its often been compared to Mars, does this mean that terraforming Mars might actually wreak catastrophic damage on existing life there - presuming there is any? Oh pumpkins! This post gave me the startlements! I actually used the hypothesis of the dust clouds at L4 and L5 in one of my published short stories (though I note from article they were preliminarily discovered in the 1960s). Still it's nice to have it confirmed! I think it's pretty safe to assume that any terraforming is likely to be disastrous for any indigenous life anywhere it is done. Given that the Centauri system is in another direction than Barnards star* I wonder which one we will attempt to explore first? On one hand we can see all this stuff, on the other hand it has never been more disconnected. We also never had this much access to so much real data and been so blind in our understanding of what makes everything tick. The incomprehensibility of the universe seen outside our doors every day of the year. The sheer number of planets forming under so many different conditions leaves the impression that there must be an unlimited number of populations all disconnected from each other all able to see each other's stars. Some of those stars blow up making the universe look like Earth with all it's natural disasters. There's no difference between suddenly being too close to a natural disaster and being stuck on a planet where the star gets wiped by any number of routines. It would be nice if there was some kind of connection underneath everything that had no time component so it was instantaneous and immune to the noise of the universe so we could at least tap out messages to each other using some kind of crude telegraph set up. It's either on or its off seems to be the only constant everything else is an infinite set of possibilities. Perhaps the isolation is more than just emptiness, maybe a readily accessible part of the entire system. Its too good at keeping the life separated. At the same time one galaxy can wipe out another in a totally impersonal manner, the same impersonalness possessed by the isolation of everything. Could it all be parallel courses that never intersect. It would be funny if there were precious metals, rare Earths, stuff that doesn't even exist here sitting in those dust clouds. Even if there was stuff in it, the size of the particles would imitate the distance between stars, just another empty taste of everything that is out there. But maybe this time a simple self powered sailnet could bring enough of it home to do something with it.